Find the best Pest Control Services in Toronto and Their Different Types! Pests are a common problem in Toronto and if you have never been the victim of an invasion by any pests then it is probably just a matter of time before you do. If you are one of the lucky few never to have suffered an attack by pests then you should do everything you can to prevent such an attack from taking place in the first place. It is easier for instance to prevent rats and mice from attacking rather than to look for rat control Toronto and mice control Toronto services after they have invaded. Most of the best experts who offer animal control Toronto services will be more than happy to give you tips on how to prevent such an invasion so it might be a good idea to make time and consult them even if you do not have such a problem as yet. Professional animal and pest control experts will usually offer three types of services which are based on the type of environment and premises that are under attack. The first of these is residential pest control in Toronto. As you may have gleaned from the name, these are services designed specifically for home owners and are meant to deal with pests that would normally invade the home. The most common pests covered here include mice, ants, bedbugs and raccoons. However, the best contractors will usually be able to effectively deal with a much wider range of pests. The second type of pest control is commercial pest control and this covers offices and other business premises. 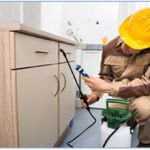 The range of pests covered here is much smaller since pests are not as common at the workplace as they are at home. The third and last type of pest control is hotel pest control. Although this would normally fall under commercial pest control, the sensitive nature of hotel work and the fact that they handle actual food makes it important enough to warrant its own category.